Supply Chain Management and Logistics Management course is purposely designed to introduce the participants with the multifaceted concepts of logistics and Supply Chain Management. As the modern organizations are competing on the basis of their supply chains therefore organizations hire the professional logistics and supply chain managers for the effective movement of their supplies and delivery of the products to end consumers. Supply Chain Management course explores the important aspects of logistics and supply chain management and introduces the learners with the different strategies for the logistics operations. As the modern organizations are continuously customizing their supply chains therefore new trends and practices are evolving in this discipline, therefore Level 3 diploma in logistics and supply chain management will provide the knowledge about the latest trends in supply chains and logistics. Inspire London College’s Logistics and Supply Chain Management Diploma will offer the learners a complete insight of modern supply chains and their role in the development of business. Supply Chain and Logistic Management Diploma Course is specifically designed for the individuals who have strong desires to start their career in the field of logistics and supply chain management. In Supply Chain Management Course the candidates will be served with comprehensive course content that will include the operations for sourcing of raw materials, manufacturing and delivery of the products in the markets. In addition to this, the Supply Chain Management Diploma will also provide a comprehensive knowledge about the logistics management and integration of modern technologies along the processes of supply chains will also be the included. Inspire London College’s management and teaching staff will be there for your assistance for 24 hours a day and 7 days in a week. After enrolling for this course you will get access to our Virtual Learning Environment (VLE) /Moodle and all the study materials and assessments will be available at VLE/Moodle. Inspire London College’s Online Diploma in Logistics and Supply Chain Management will offer the learners a complete insight of modern supply chains and their role in the development of business. These courses will facilitate the learners with an opportunity to explore the basic concepts of supply chain management, its developing role and significance in the business operations. The Supply Chain Management course content will elaborate the key activities of logistics, operation of inventory management, warehousing, and managing procurement including the management of manufacturing operation and logistics management deeply. The learners will be able to recognise the role of logistics in an effective supply chain along with the implementation of its modern techniques. 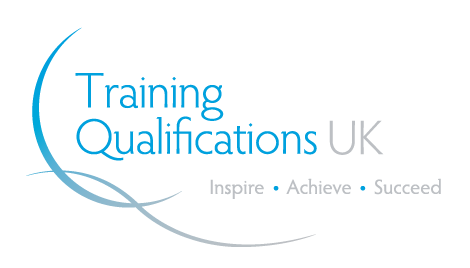 Upon successfully completion of the course learner needs to pay for an *Endorsed Certificate* from ** an Ofqual regulated awarding organisation ** or from Inspire London College (PDF format only). Logistics and Supply Chain Management Course has been designed specifically for the four type of audiences. Learners exploring an astonishing career in supply chain management but they don’t have prior knowledge of this field of study. Secondly, people working in logistics and supply chain management and they want to enhance their skills and knowledge further according to the modern requirements of this field. This course suits the learners who want to know that how the things move in a supply chain and want to know the complexity of supply chains. The major job roles that can be performed by the learners after successful completion of the certificate include supply chain managers, inventory managers, procurement managers, logistics manager, logistics supervisor etc.